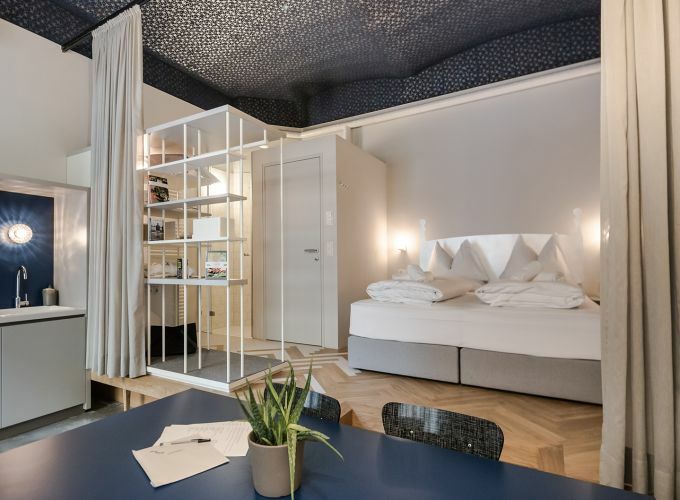 At 25 m², the Street Junior Suite next to the happening Karmelitermarkt provides space for two people and, if required, also offers room for very little guests. 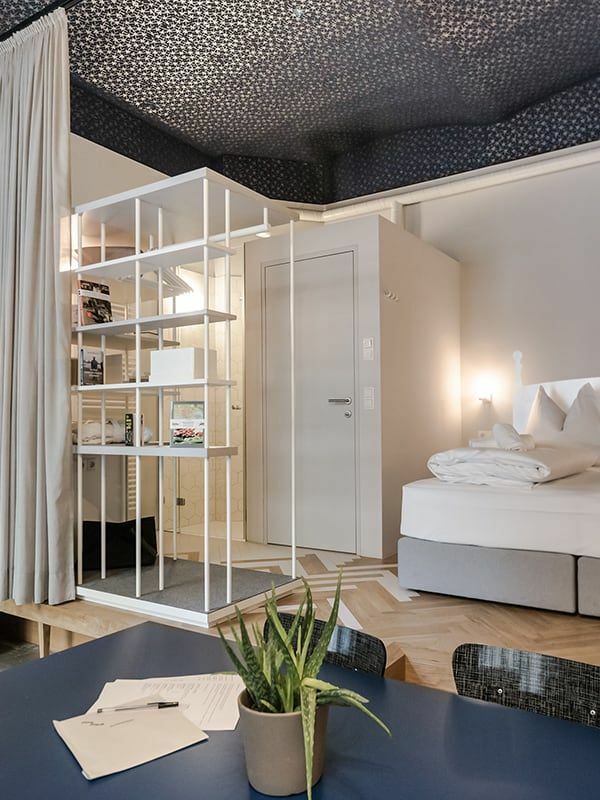 Relaxing colour schemes and ultra-modern furnishings make these Street Junior Suites more than just somewhere to sleep. The king-size twin bed promises sweet dreams, and an extra children’s bed can be added if required. Thanks to the writing/dining table and a fully equipped kitchenette, you’re all set up to enjoy breakfast together. If you wish to explore the up-and-coming Karmeliter neighbourhood in greater depth, we provide bikes to rent free of charge. The bathroom will spoil you with a rain shower, hair dryer and high-quality care products, and TV, wifi and a room safe are also provided. The impressive Augarten park is just a few steps away from your suite, inviting you to linger with its sunbathing lawn and culinary delights. Living in this former electrician’s home feels like you’ve stepped into a lavish space capsule. Here, where street lamps were once stored, you now glance up at a starry sky.